At the request of a friend who owns a few M35A2 Deuce & a 1/2 Military trucks, we made some replacement parts that are hard to find. We will be making more depending on demand and time available to make them. It is a very time consuming process. 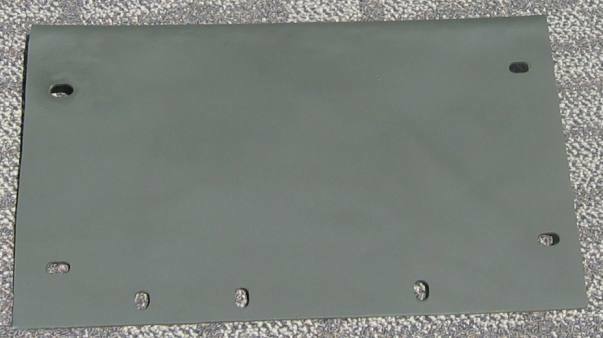 Here is a Heater Mounting Plate for a Deuce. 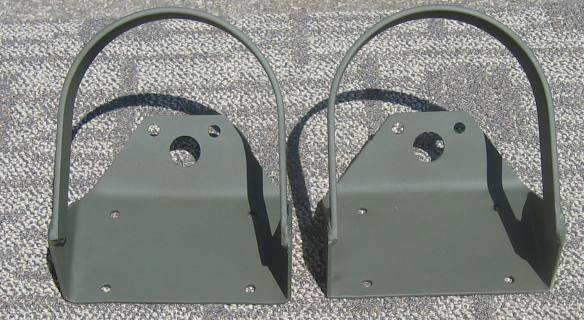 Front Marker Light Guards for a Deuce. Side Step for a Deuce. View of the bottom side. We made this out of 11 gauge steel, with an angle iron edge frame. The original steps are made out of stamped 14 gauge steel. The reinforcement strip on the bottom of the original is not sealed at the ends, and begins to rust from the bottom side of the step. All seems well until your foot goes through. 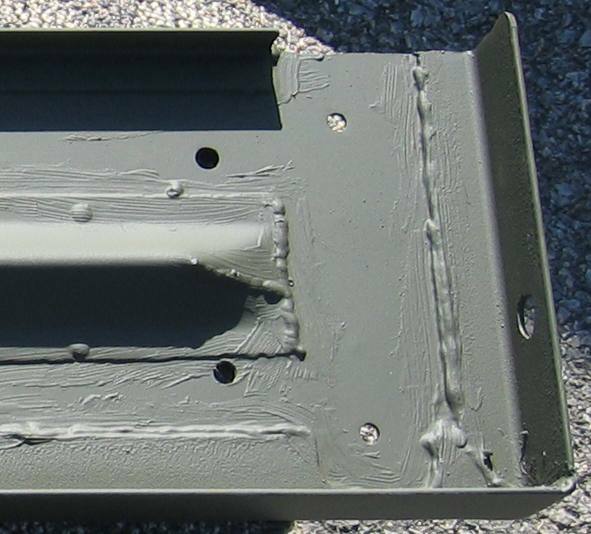 You can see our reinforcement (which is overkill on and 11 gauge panel) is sealed at the ends, and we added Brushable Seam Sealer to all the welds and the reinforcement strip on the bottom side. This is a place where Fluid Film should be sprayed liberally on the original steps. You can coat ours with it too and it will outlast the rest of the body. We enjoy fabricating and repairing / restoring parts for older vehicles. We enjoy making them stronger and more durable than the originals too. If you have a part you can't find, and want us to fabricate one for you, or maybe even repair the one you have, give us a call or e mail us! Appointments available earlier and later than regular hours during the week. Give us a call. All calls forwarded to cell after regular hours in Season. We are located in Northern New Jersey on Route 94 in Hardyston, NJ in the Recon Group building, at the opposite end from Colours, next to Bins & Bays and the Swing In Deli. Less than a mile from North Church Road. Mission Statement: Provide high quality work at a fair price, in a professional manner. Dedicate ourselves to an extremely high level of customer service. Always strive for excellence, which will set us apart from our competitors. Good is not good enough, we want excellence. Supply the industry with useful innovative products, services, and ideas that will reduce downtime, operating costs, and make our customers more efficient, thus increasing their bottom line. Stay active in the industry, taking advantage of all educational opportunities, networking opportunities, and stay up to date on all new industry developments. 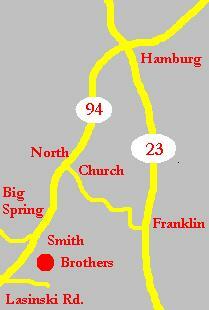 Add another supply source for truck parts and accessories in Sussex County NJ (Northern NJ). *The trade names MEYER�, BOSS�, WESTERN�, FISHER�, Buyers�, used on this site are for reference purposes only. 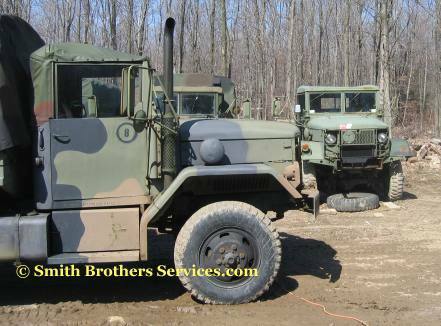 Smith Brothers Services, LLC does not imply that all parts we sell are all OEM parts. Some are, some are not. 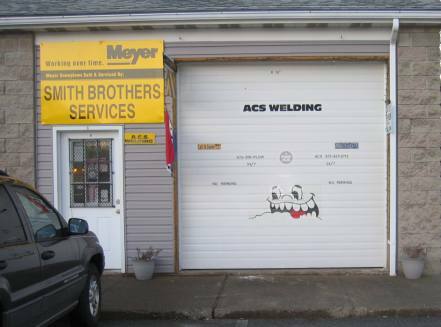 Additionally, we are not implying that anything we sell is endorsed by any of these manufacturers other than the OEM Meyer and Buyers parts we carry, as an Authorized Meyer and Buyers Dealer.